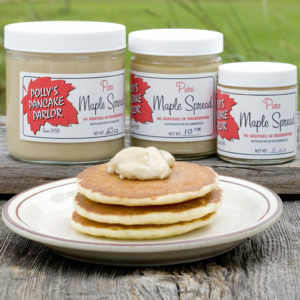 Home / Polly's Own Maple Sugar and Spread / Pure Granulated Maple Sugar 20 oz. Pure Granulated Maple Sugar 20 oz. No additives or preservatives. The added touch of Crowning Glory to the dish or morning cereal, pancakes, toast or fresh fruit. 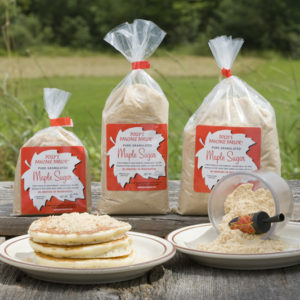 Granulated Maple Sugar may be used as a substitute for white sugar or in recipes found in our cookbook. 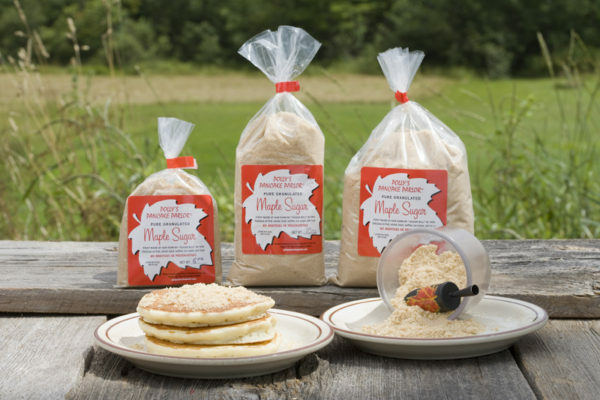 Where else can you buy granulated maple in bulk containers? 20 oz.